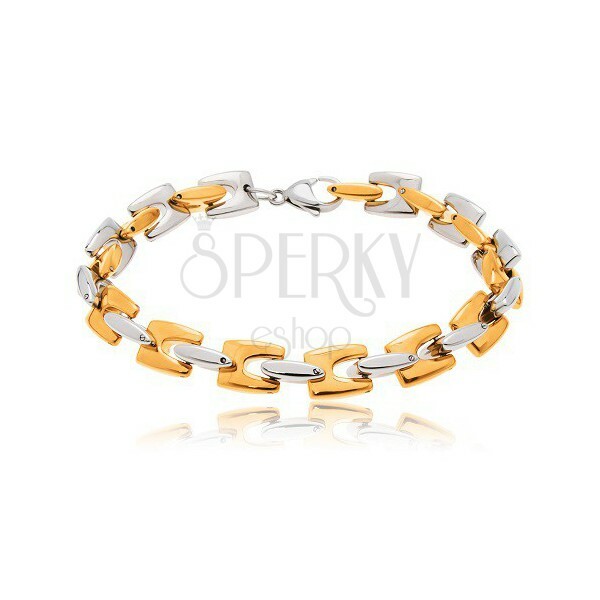 Bicoloured bracelet made of 316L steel, diagonally joined links with smooth and slightly rounded surface. 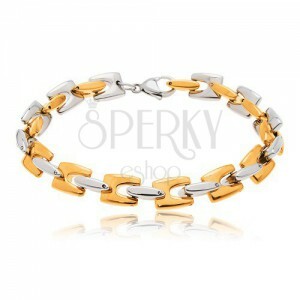 Bracelet made of surgical steel in gold-silver colour. The thicker chain is composed of diagonally joined, rounded H-links. Lobster closure.